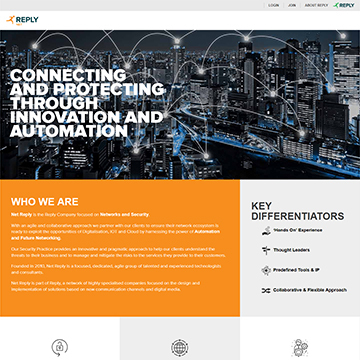 Designed and developed according to Industry 4.0 paradigms, Brick Reply is a MOM platform for the management and control of a "Smart Factory". 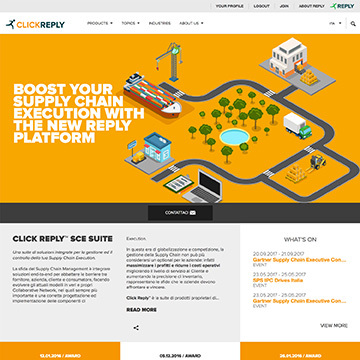 Click Reply™ is Reply’s integrated platform for Supply Chain Execution, able to support companies in many industrial sectors: Automotive, Telecommunications and catalogue sales industries, fast moving and Electronic. 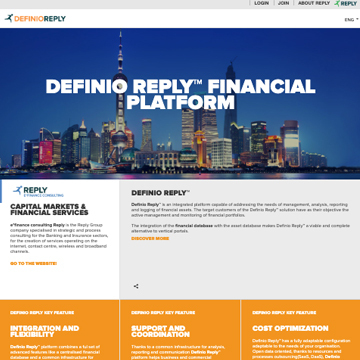 Definio Reply is a technological platform capable of directing the demands of management, analysis and reporting on portfolios of Financial instruments. The suite has been created to meet the requirements of collection, analysis, control, processing and distribution of financial data. 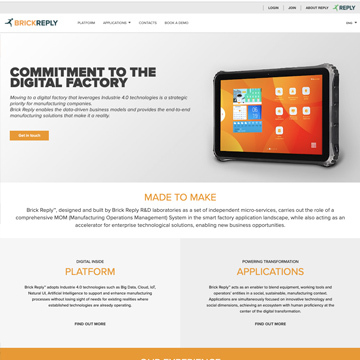 Discovery Reply™ is Reply’s proprietary platform for Digital Asset Management. The ideal solution for the Digital Media Management projects. 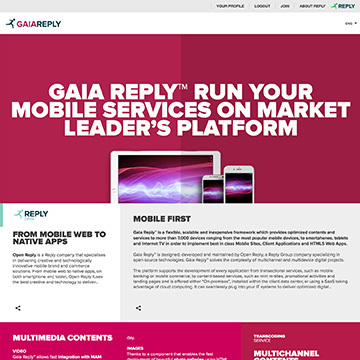 Gaia Reply™ is the innovative platform Reply launched in the field of Mobility and Multimedia, which makes the data available on Mobile channels and devices. Hi connect is a Reply IoT servitization solution. 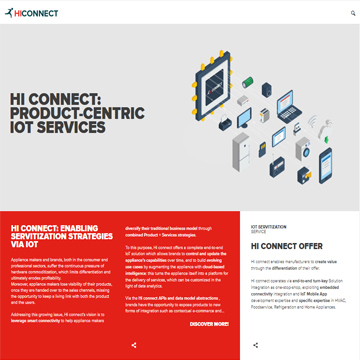 Hi connect operates via end-to-end turn-key Solution Integration as one-stop-shop, exploiting embedded connectivity integration and IoT Mobile App development expertise and specific expertise in HVAC, Foodservice, Refrigeration and Home Appliances. Hi engage is a Reply commercial Contextual Marketing solution. It enables brands to open a new, digital and personal channel of communication with their customers. 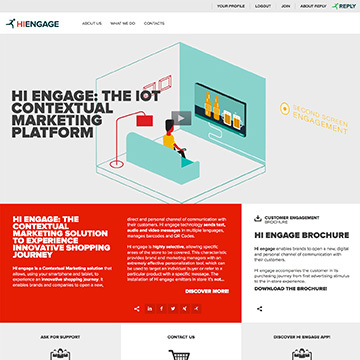 Hi engage accompanies the customer in its purchasing journey from first advertising stimulus to the in-store experience. 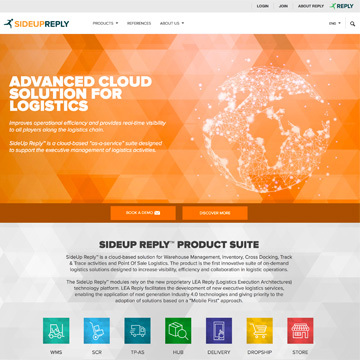 LEA Reply™, “Logistics Execution Architecture”, is Logistics Reply’s latest evolution of Supply Chain Software, it builds on 20+ years of industry experience and customer success of previous product suites Click Reply™ and SideUp Reply™. 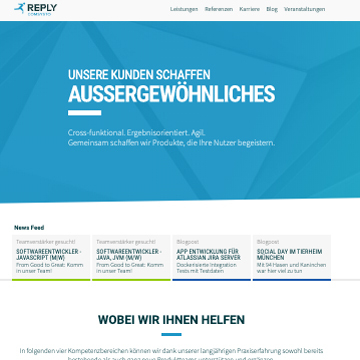 LEA Reply™ is an interconnected platform based on a microservices architecture that enables agile and cost-effective supply chain solutions tailor-made for business needs. 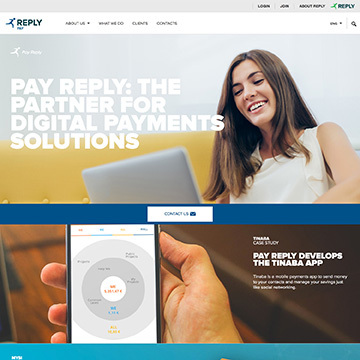 Pay Reply is a Mobile Payments solution provider and helps Banks, Financial Institutions and Telecommunications companies, Utilities and Retailers to create and deliver innovative Remote and Proximity Payment. 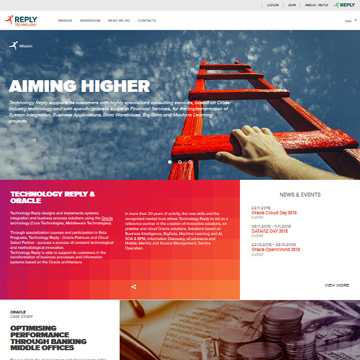 SideUp Reply™ is the new software application for an effective Warehouse Management, immediately available via web and delivered as a Service. Warehouse activities can be managed with great efficiency and without expensive investments in hardware and software. 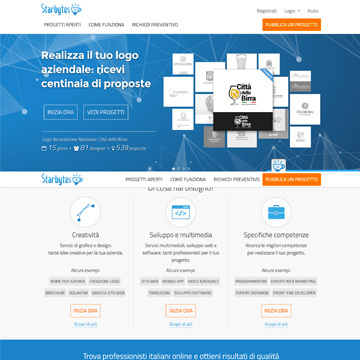 Starbytes is an online employment service aimed at freelancers and ICT specialists. Through Starbytes™, Reply matches jobs with candidates in the ICT and creative sectors, thereby guaranteeing maximum transparency and protection in contract and payment conditions. 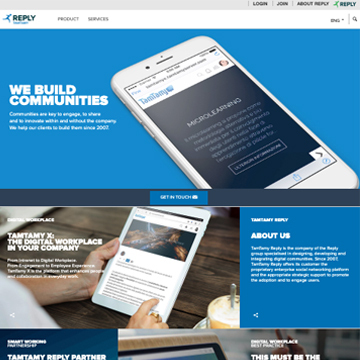 TamTamy is a software solution to create and develop Enterprise Social Networks and Communities. A set of services and Social tools to improve business functions, foster Internal collaboration and innovation as well as extend business relationships. Ticuro Reply measures and interprets personal health information and daily activities. Based on Internet of Things (IoT) and Big Data, Ticuro Reply allowes to increase the quality of life. The combination of wearables, medical devices and additional sensors to improve healthy lifestyle everytime and everywhere. 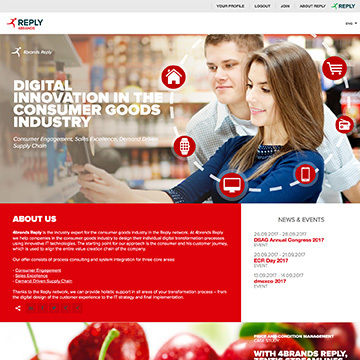 4brands Reply is the expert for the consumer goods industry in the Reply network, helping companies in this industry to design their individual digital transformation processes using innovative IT technologies. The company provides process consulting and system integration for Consumer Engagement, Sales Excellence and Demand Driven Supply Chain. 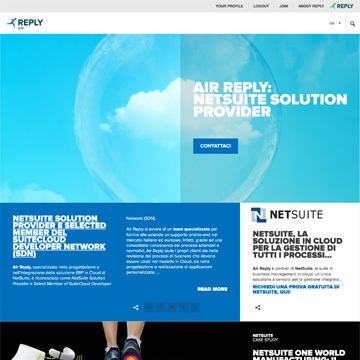 Air Reply specialises in the design and integration of the NetSuite cloud-based ERP solution and is a NetSuite Solution Provider and a Select Member of the SuiteCloud Developer Network (SDN). Air Reply can assist its customers both on revising any business processes that need to be moved to a cloud-based model and on the design and implementation of customised applications for desktop and mobile. 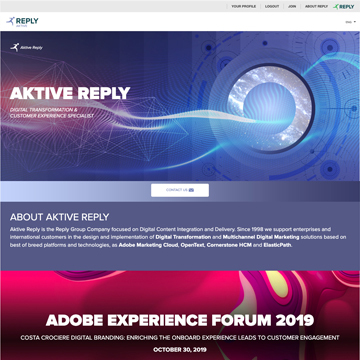 Aktive Reply is the Reply Group Company focused on Digital Content Integration and Delivery. Since 1998 we support enterprises and international customers in the design and implementation of Digital Transformation and Multichannel Digital Marketing solutions based on best of breed platforms and technologies, as Adobe Marketing Cloud, OpenText, Cornerstone HCM and ElasticPath. Avantage Reply is a pan-european specialised management consultancy delivering change initiatives in the areas of risk, finance (treasury and capital management, regulatory reporting), compliance and operations, with an excellent reputation for delivering solutions to their clients’ most challenging issues. 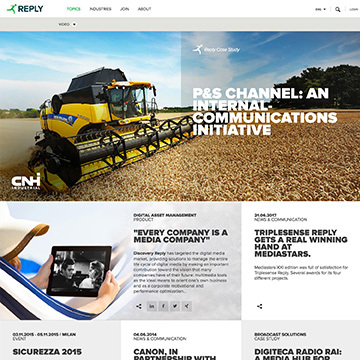 Avvio Reply is the UK company specialising in Brand Engagement and Internal Communications. Avvio Reply's purpose is to realise the full value of a company's employees. 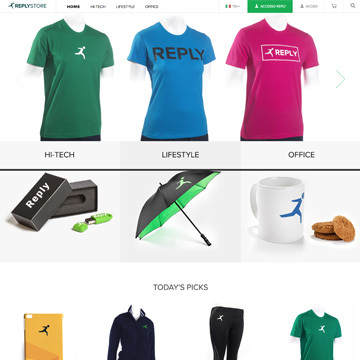 Avvio Reply motivates employees to create, sell and recommend products. When employees are motivated to perform, businesses perform. Bitmama, which specialises in consulting and conceptual design for Digital Branding, is one of Italy’s most important Digital creative Agencies. By combining the creative talent of the Armando Testa Group and Reply’s technological excellence, Bitmama addresses the brand market with a multiplatform approach. 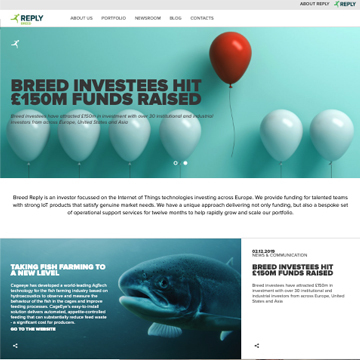 Breed Reply, Reply's advanced incubator, funds and supports the development of start-ups on the Internet of Things in Europe and the USA. Breed Reply supports entrepreneurs and young talent by quickly bringing new ideas to the market. 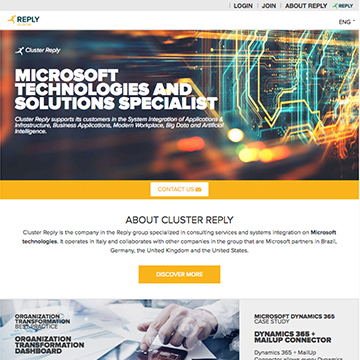 Cluster Reply is the company in the Reply group specialized in consulting services and systems integration on Microsoft technologies. 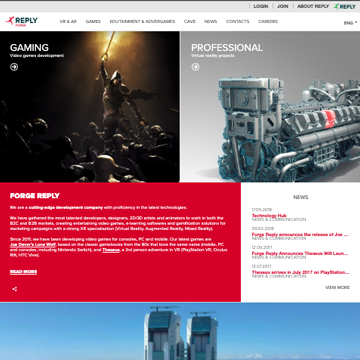 It operates in Italy and collaborates with other companies in the group that are Microsoft partners in Brazil, Germany, the United Kingdom and the United States. 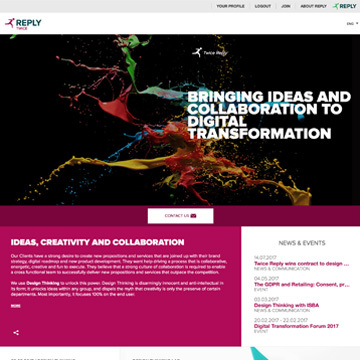 Comsysto Reply has pioneered and leads the lean and agile delivery of tailor made solutions, designed to meet the challenges of digital transformation in enterprises. With a clear focus on agile organization, flexible open source frameworks and cloud services, Comsysto Reply accelerates innovation, mitigates risk and provides sustainable business value. 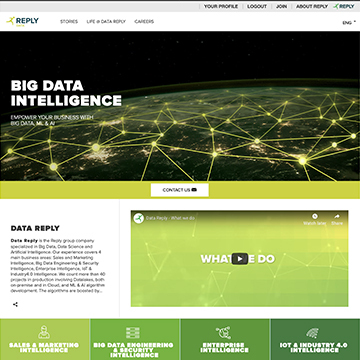 Data Reply is the Reply group company specialised in Big Data, Data Science and Artificial Intelligence. Its experience covers 4 main business areas: Sales and Marketing Intelligence, Big Data Engineering & Security Intelligence, Enterprise Intelligence, IoT & Industry4.0 Intelligence. 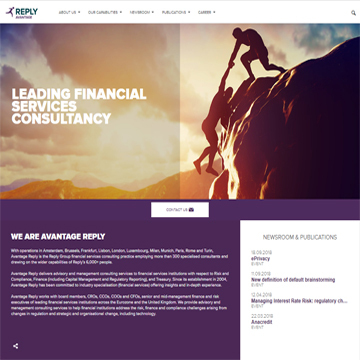 e*finance consulting Reply is the Reply Group company specialised in Management Consulting Services for Financial Institutions. 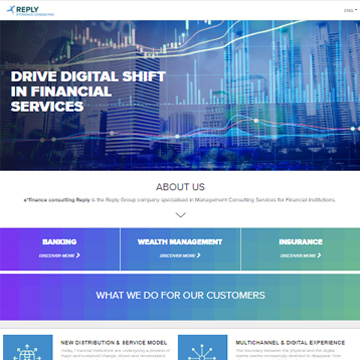 e*finance consulting Reply accompany their Customers in defining and achieving their strategic business policies through the application of the latest business and distribution models, the evolution of operational processes and tools and the design of new products and services. Forge Reply is a cutting-edge development company with proficiency in the latest technologies. It gathered the most talented developers, designers, 2D/3D artists and animators to work in both the B2C and B2B markets, creating entertaining video games, e-learning softwares and gamification solutions for marketing campaigns with a strong XR specialisation (Virtual Reality, Augmented Reality, Mixed Reality). Glue Reply specialises in IT architecture, integration and data solutions that drive value for organisations. Glue Reply helps its clients succeed by turning strategy into tangible solutions and vision into practical outcomes. 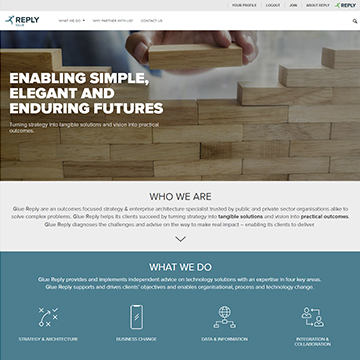 Glue Reply supports and drives clients’ objectives and enables organisational, process and technology change. Live Reply is the Reply Group specialist in digital services and solutions enabled by telco & media technologies. 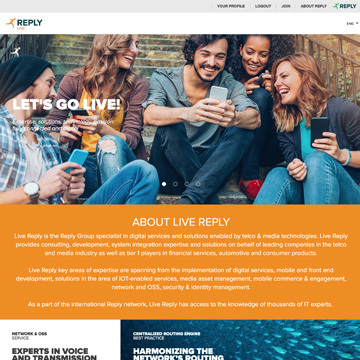 Live Reply provides consulting, development, system integration expertise and solutions on behalf of leading companies in the telco and media industry as well as tier 1 players in financial services, automotive and consumer products. 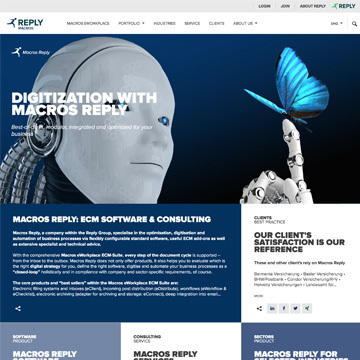 Macros Reply is a specialist in browser based information and document management as well as archive and mailbox filing solutions especially for banks and insurance companies. The company focuses on efficient caseload processing wellith innovative solutions. 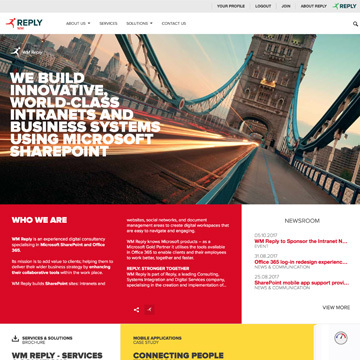 Net Reply, a Reply Company focused on Networks and Security, makes clients' network ecosystem ready to exploit the opportunities of Digitalisation, IOT and Cloud by harnessing the power of Automation and Future Networking. 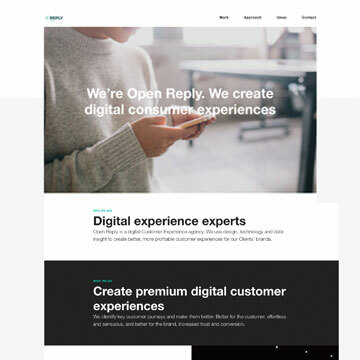 Open Reply is a UK digital Customer Experience agency, that uses design and technology to create better, more profitable customer journeys for its Clients’ brands. Open Reply has deep expertise in creating smartphone and tablet experiences, as well as desktop. Portaltech Reply is the leading hybris Partner. Portaltech Reply offers an end-to-end set of products and services for multi-channel commerce. This includes: consulting, commerce platform implementation and integration, mobile and digital design, YaaS and on-premise warehouse management, proximity marketing, SAP Customer Engagement and Commerce, mobile payments and Cloud based platforms. Protocube Reply develops 3D integrated solutions that allow the optimization of industrial processes and provide effective and innovative solutions for communication, design, architecture, art and culture. The 3D Integrated Solutions provided by Protocube Reply include technologies such as 3D modeling, surveying and 3D scanning, 3D Printing for both prototyping and production, rendering and 3D animation, virtual photo shooting, 3D configurators for e-commerce, software and advanced 3D applications for communication and industry. Red Reply is specialised in consulting services and the design and implementation of solutions based on Oracle technology (IaaS and PaaS). 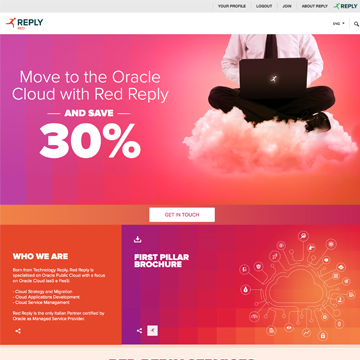 Thanks to the expertise it has acquired, Red Reply supports its customers through the various stages of the information systems transformation process, from the design to the implementation of innovative solutions based on the Oracle technology. 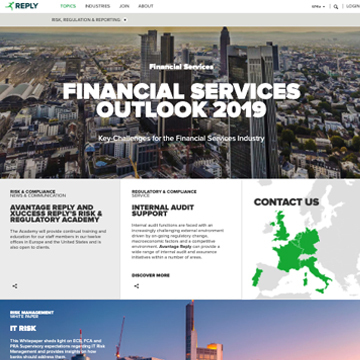 Reply boasts one of the leading practices specialising in Risk, Treasury and Capital Management and Financial Performance Management in Europe, helping organisations bring a practical vision for Integrated Risk and Performance Management. 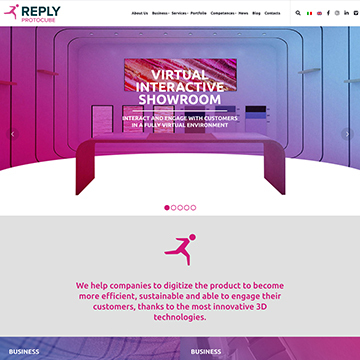 Retail Reply helps clients accelerate their response to the opportunities of digital transformation in the retail and consumer sector. The imperative to reduce prices and costs, while continuing to meet rapidly evolving consumer demands, is incredibly challenging. 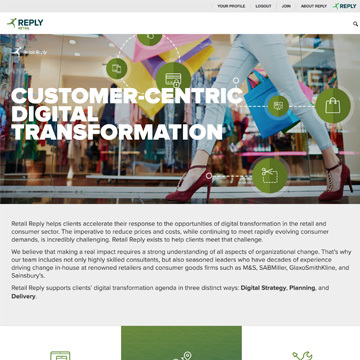 Retail Reply supports clients’ digital transformation agenda in three distinct ways: Digital Strategy, Planning, and Delivery. Riverland Reply, a Reply Group company specializing in consulting, implementation and system integration of Oracle solutions, is one of the leading Oracle consultancies in Germany. As an Oracle Excellence Partner and awarded with an CX-Implementers Recognition Award, Riverland Reply is ideally placed to implement tailor-made solutions for its customers. 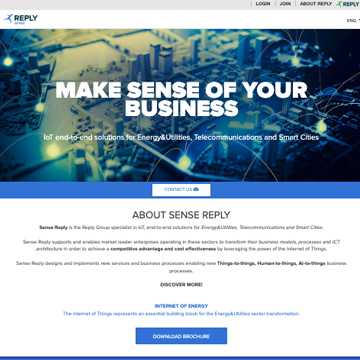 Sense Reply is the Reply Group company specializing in IoT end-to-end solutions for Energy&Utilities, Telecommunications and Smart Cities. 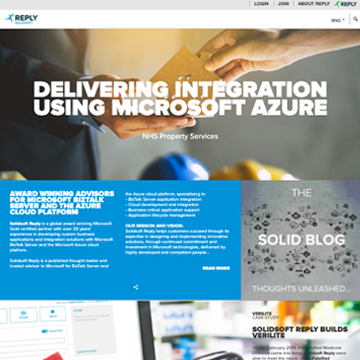 Solidsoft Reply is the Reply group consultancy that develops custom business applications and process integration solutions with Microsoft BizTalk Server and the Azure cloud platform. A global award winning Microsoft Gold certified partner, Solidsoft Reply is a published thought leader and trusted advisor to Microsoft. 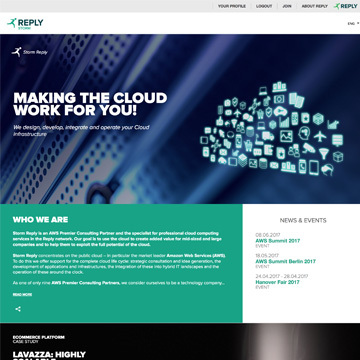 Storm Reply is the Reply company specialising in the design and implementation of Amazon cloud-based solutions and services. Storm Reply supports the leading industrial groups in moving their systems and applications to the Cloud. 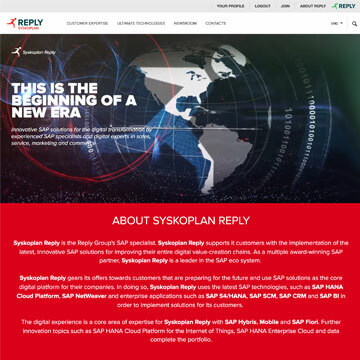 Syskoplan Reply is the Reply Group company specialising in the implementation of the latest, innovative SAP solutions for improving the entire digital value-creation chains. 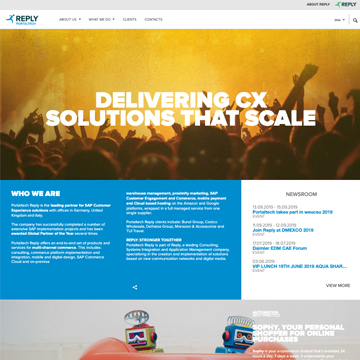 As a multiple award-winning SAP partner, Syskoplan Reply is a leader in the SAP eco system. 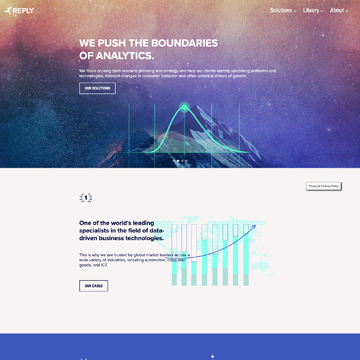 TD Reply is a leading international business consultancy for Data-driven innovation and marketing. The TD Reply portfolio combines Data-driven innovation services to anticipate and cultivate ideas using agile business modelling to generate sustainable profits from innovation by supporting clients to develop products and services customers really want. 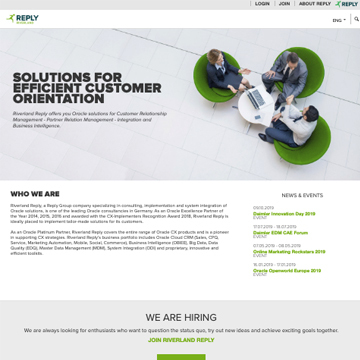 Technology Reply is the Reply Group company specialised in consulting services, design and implementation of solutions based on the Oracle technology. 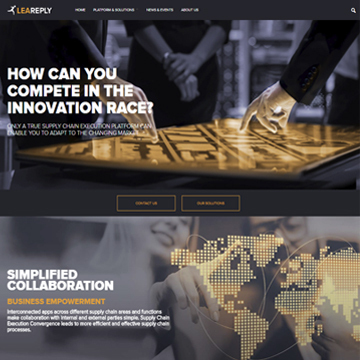 Technology Reply pursues a process of continuous innovation to ensure its customers qualified support and cutting-edge solutions through cross-industry technological skills and process skills in the finance area, enabling digital transformation leveraging on Oracle Cloud technologies. 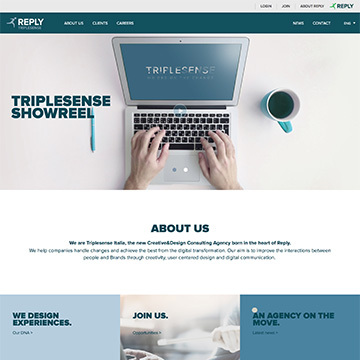 Triplesense Reply is the German specialist for Digital Strategies and Customer Experience in commercial and end customer markets. Triplesense Reply designs digital touch point experiences for a perfect user experience. 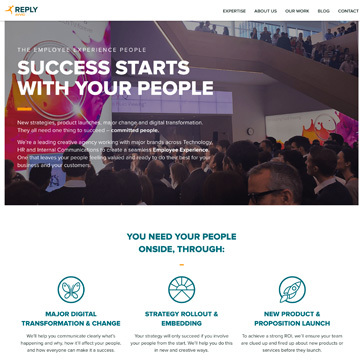 Twice Reply focuses on strategic consulting, is a specialist in digital transformation. Twice Reply advises large and medium-sized companies in all sectors when it comes to the exploitation of new business opportunities. The company optimizes processes, organizations and technical infrastructure – resulting in enhanced performance of the business. 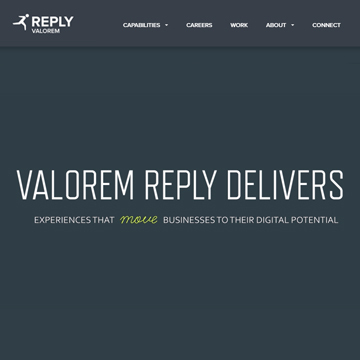 Valorem Reply is a digital transformation firm focused on driving change with hyper-scale and agile delivery of unique digital business services, strategic business models and design-led user experiences. Through the expertise of our people and the power of Microsoft technologies, our innovative strategies and solutions securely and rapidly transform the way our clients do business. WM Reply is an experienced digital consultancy specialising in Microsoft SharePoint and Office 365. WM Reply builds SharePoint sites: intranets and websites, social networks, and document management areas to create digital workspaces that are easy to navigate and engaging. 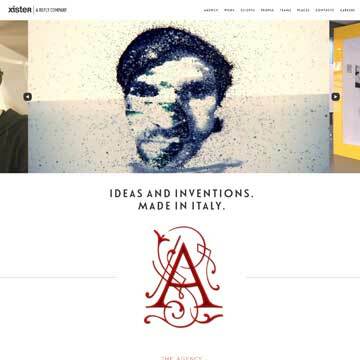 Xister is a digital creative agency of the Reply Group, established in 2002 in the heart of Rome, Italy. Xister process goes from strategy to implementation, delivering not only great creativity, but also finely crafted finished products. Xister is driven by its attention to detail, passion for beauty and natural Italian style. 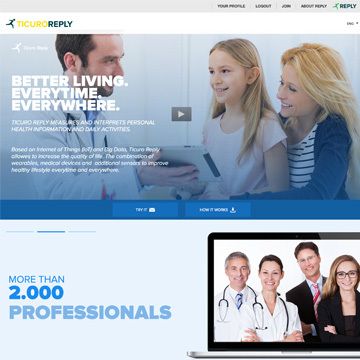 The ecommerce site is the answer to the increasing demand for items customized with Reply brand. Merchandise Materials are categorized and browsing the site is free. The user is required to register before adding items in the cart. The full cart is saved and available for the next time in case the user did not complete the purchase.